What Is Da Form 285 Series? 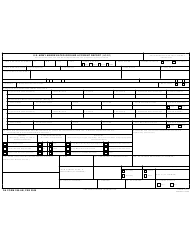 - DA Form 285-W (Technical Report of U.S. Army Ground Accident Summary of Witness Interview), used for recording witness interviews and submitted along with the initial reports of on-duty accidents. All accidents, regardless of accident class or personnel duty status, must be reported to the local safety office and to the immediate commander or supervisor whose operation, personnel, or equipment is involved. All Army Ground Accidents are divided into six categories according to the total costs of property damage, caused injuries and the types of equipment damaged or destroyed. - Class A accidents are accidents in which the resulting cost of property damage is more than $2 million with Army aircraft or missiles destroyed and personnel severely injured or killed. - Class B accidents are accidents that caused an injury that resulted in permanent partial disability and in which the cost of property damage is more than $500,000 but does not exceed $2 million. - Class C accidents result in nonfatal injuries that cause a day or more days away from work and have total costs of property damage ranging from $50,000 to $500,000. - Class E Aviation accidents are accidents with less than $2,000 in the resulting costs of property damage. - Class F Aviation incidents are aircraft turbine engine malfunctions and turbine engine external damage. 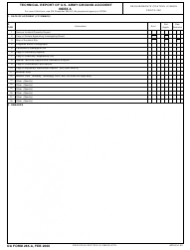 These incidents are reported on the DA Form 2397-AB-R (Abbreviated Aviation Accident Report). 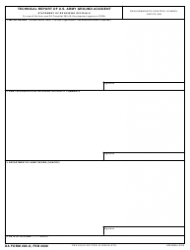 This form is used by reviewing and approving officials to review and provide commentary about any accidents that happen on U.S. Army grounds. 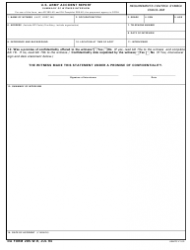 Use this form to report Class A ground accidents in the U.S. Army. The report should be completed and submitted to the U.S. Army Combat Readiness Center (USACRC) within 90 days from the date of the incident. 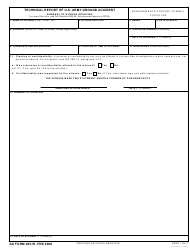 This form is used for recording interviews with witnesses of accidents that occur on U.S. Army grounds and is submitted along with all Class A and Class B accident reports. 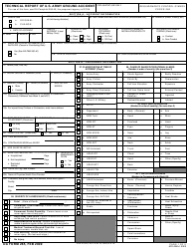 This form is used for making reports of Class B ground accidents in the U.S. Army and is submitted to the U.S. Army Combat Readiness Center (USACRC) within 90 days of the date of the accident. 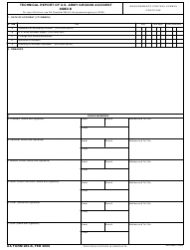 This is a three-page abbreviated form used for reporting ground accidents within the U.S. Army ranging from Class C to Class E.